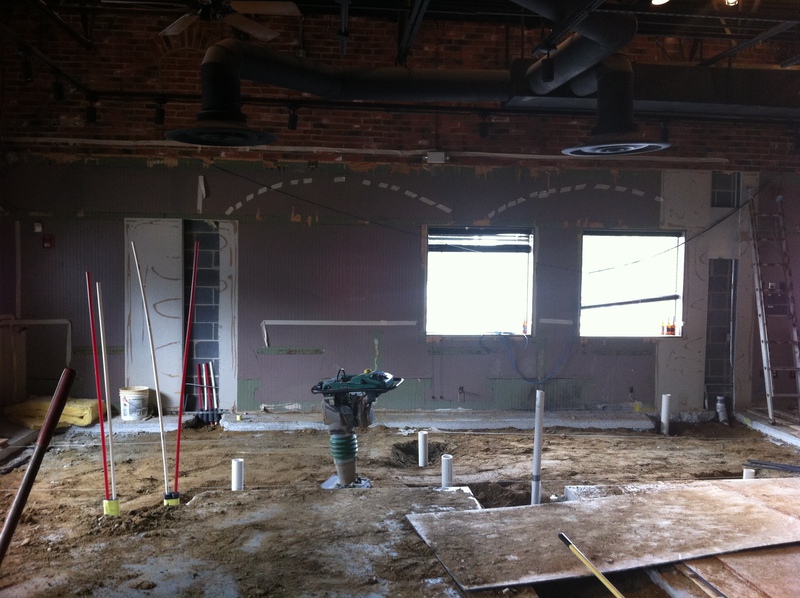 The tape on the walls marked out where the back bar arches and laboratory would go to get a sense of scale and layout. The finished product is pictured below. My goal was to build something that would still be around one hundred years from now. 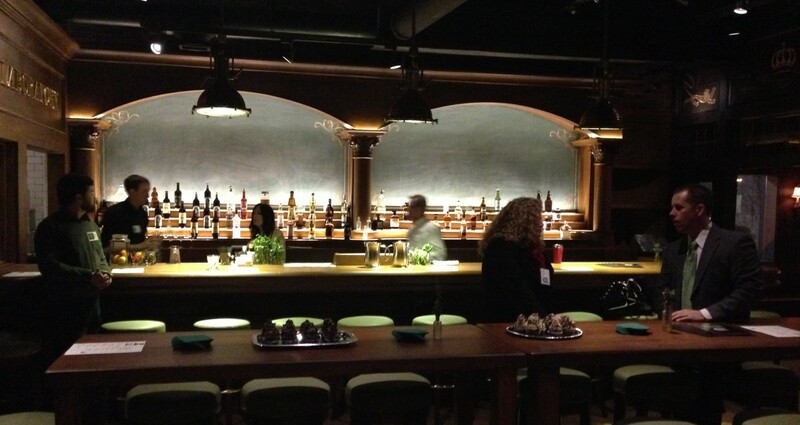 The bar is all quarter sawn oak with carved capitals, beveled wood panels, curved radii (extremely difficult) in several places, soapstone and vintage marine searchlights. The tables in the bar are 200 year old oak and 3″ thick. It’s a strategy of building something once that will last. What are some of your favorite architectural elements around Greensboro?